It is common to find ourselves thinking of what we need to do to provide for our pets, but how often do we think about or even consider what our pets give to us? Our furry family members quickly become invaluable and cherished parts of our family. They are there when we need them, on good days or bad, and they are an ear to listen when needed, to put a smile on our face, or to share in a celebration. Research shows that people with pets live longer, are more active, more social, have less stress and lower blood pressure. Growing up with a pet can even help boost immunity and decrease risk of developing allergies. Every pet and their family have a story, each one unique and equally as special. There is however a very special dog and family who’s story we felt we needed to share. 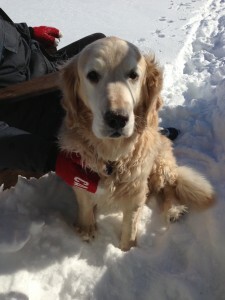 That is the one of our patients, a Golden Retriever by the name of Cleo. Cleo is a dog with a very special role. She was hand selected in Newburyport, Maine by a group of people who wanted to help a family they had never even met. They had Cleo vaccinated and purchased toys and a blanket for her and put her on an Air Canada flight headed to Toronto. This group was put in contact with the Bebenek family by a good friend, Lynda Campbell, who wanted to give something back to the Bebenek family. The Bebenek family had just gone through the unimaginable, the loss of their 5 year old daughter Meagan from a brain stem glioma, a cancerous and inoperable brain tumour. Cleo was sent as a gift, to give hope to a grieving family. Meagan’s mother Denise still remembers the day they picked Cleo up at the airport as a “moment she will never forget”. The Bebeneks drove to the cargo area of Air Canada. They watched lobster crate after lobster crate unloaded from the aircraft and then suddenly they announced “Puppy Cleo” – and the Bebenek’s family life was changed forever! Cleo was a gift beyond measure, immediately becoming a very special part of the Bebenek family, filling their hearts with love and happiness in the midst of the saddest of any life-circumstance to be given to a family. Now 11 years later, Cleo is a devoted and loyal family member, and fills a very special role. Denise Bebenek agreed to share her story as an example of the powerful role and love that our furry family members can play in our lives, and an example of how people can extend themselves so selflessly to someone in need. She has continued this tradition of giving by creating “Meagan’s Walk: Creating a Circle of Hope”, to spread awareness and give hope to children living with brain tumours and to honour her daughter Meagan. 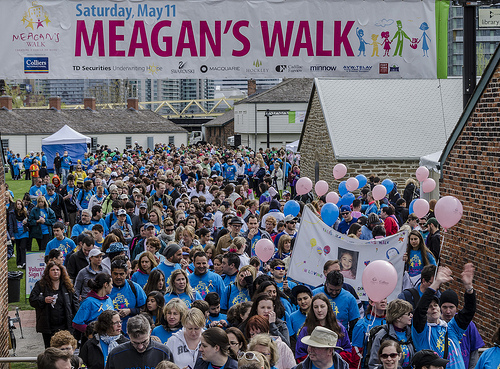 Now in it’s 13th year, Meagan’s Walk is a 5k walk from Fort York to the Hospital for Sick Children. It is at Sick Kids that participants join hands and form a “human hug” around the hospital, a “Circle of Hope” and as a message of love and support that can be viewed by all those within. Meagan’s Walk has raised more than $3.1 million, directly helping the dedicated doctors and researchers who are making global advancements in brain tumour research and patient care. This year the 13th Annual Meagan’s Walk will be held on Saturday May 10th. 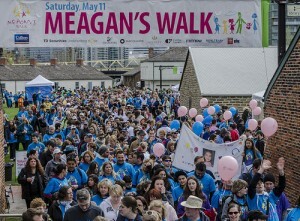 Bloor Animal Hospital is proud to support Meagan’s Walk. If you are interested in finding out more, participating or making a donation, please visit their website at www.meaganswalk.com. Thinking About Getting Some Lilies? Cat Lovers, Read This First! As we say hello to spring, many of us choose to brighten up our homes with a fresh bouquet of flowers. Some flowers are relatively harmless while others can cause stomach upset. There are some flowers which can be very toxic to your pet – even fatal. One of the most common and popular of which is the Lily. All lily flowers and all plant parts should be considered toxic, and even just a nibble can be fatal. Vomiting, lethargy and decreased appetite are the most common initial signs. They are followed by increased drinking and urination. This can progress to complete kidney failure, which is characterized by the lack of production of urine.Our kidneys are essential to life and we cannot live without them, thus this severe degree of kidney failure can only be followed by death. What can be done you ask? If there is any suspicion that your cat has consumed a lily, we recommend visiting your veterinarian ASAP. They will likely run a blood and urine test to access the current state of the kidneys and start your pet in intravenous fluid therapy. Your vet can also provide additional medication to help with the stomach upset associated with this toxicity. After a couple of days of fluid therapy your vet will likely recheck your cat’s blood work to access kidney health. Some cats are able to recover with full kidney function, while others are left with some with some degree of kidney failure that they will carry with them through life. Some cats are not so lucky and despite the best of care end up in end stage kidney failure ultimately resulting in death. 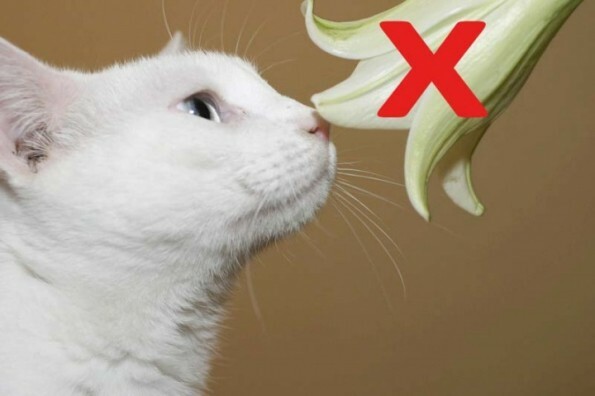 Our advice to cat owners: no lilies in the home…..not even out of reach, as most cats are quite agile and able to access pretty much any region or surface of your home. There are plenty of beautiful flowers out there, which can decorate your home without harm to your cat. Don’t hesitate to contact your veterinarian if you have questions about the safety of a particular plant or flower in your home – it just might save your pet’s life! -Suzanne Lyons, D.V.M and Practice Owner at Bloor Animal Hospital.